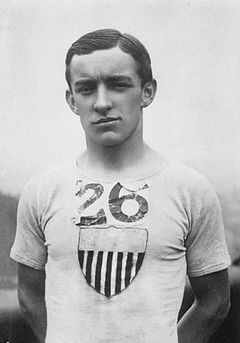 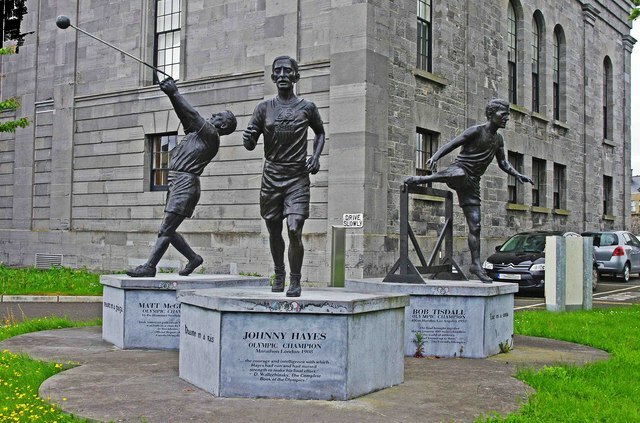 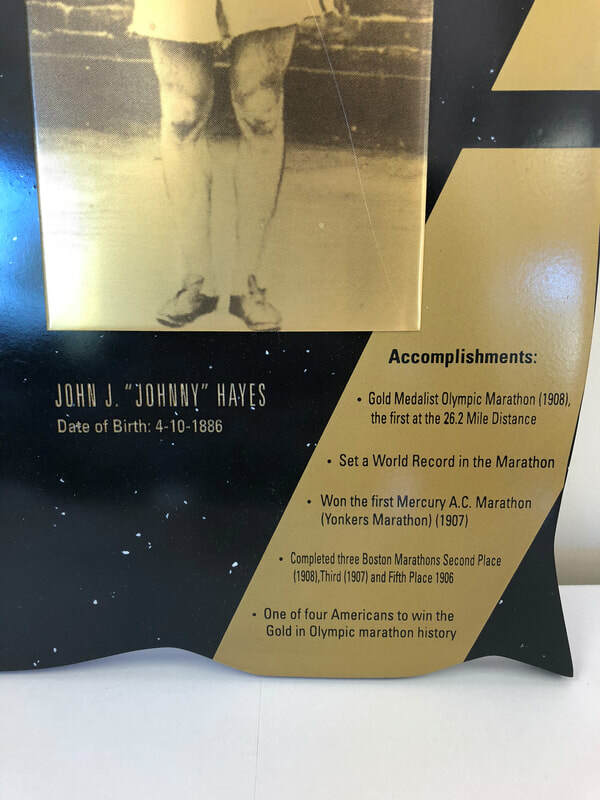 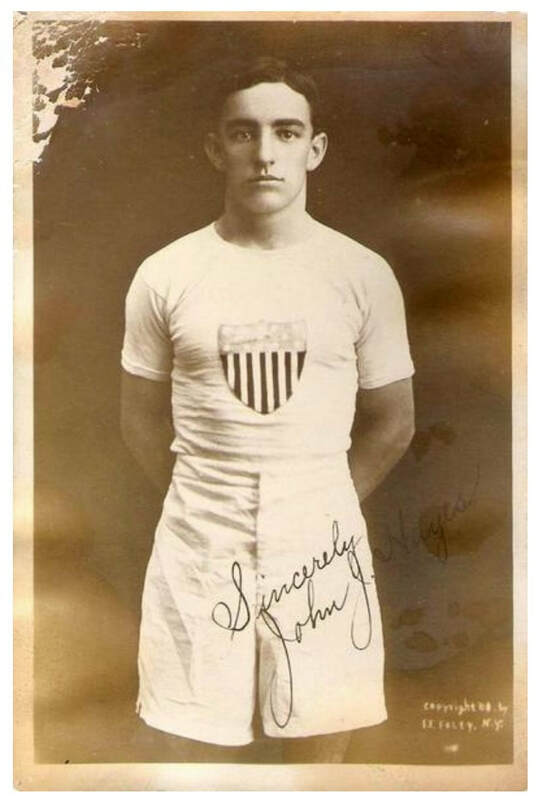 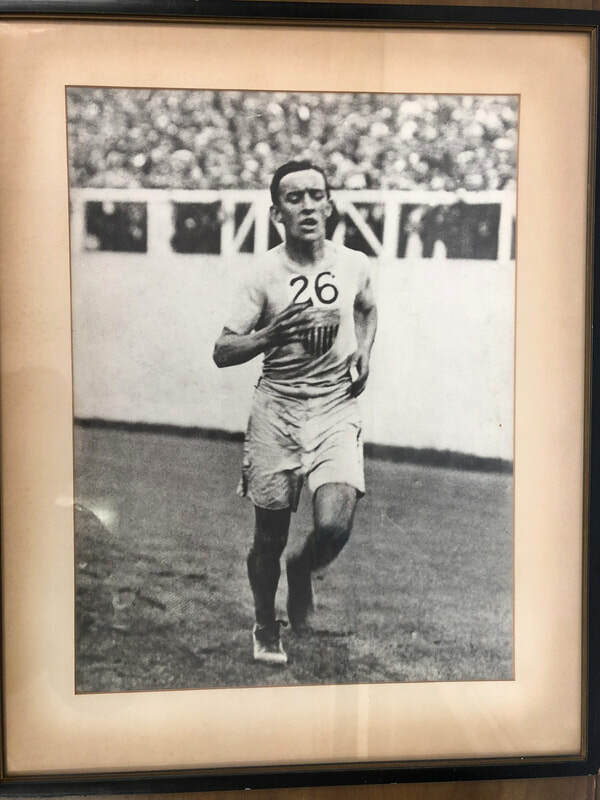 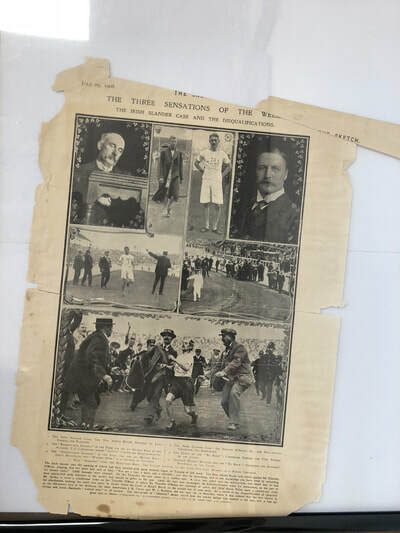 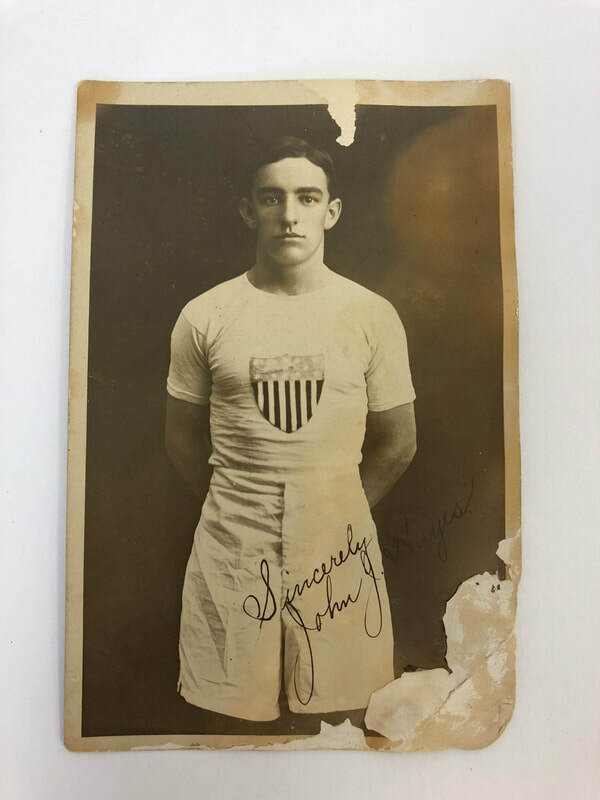 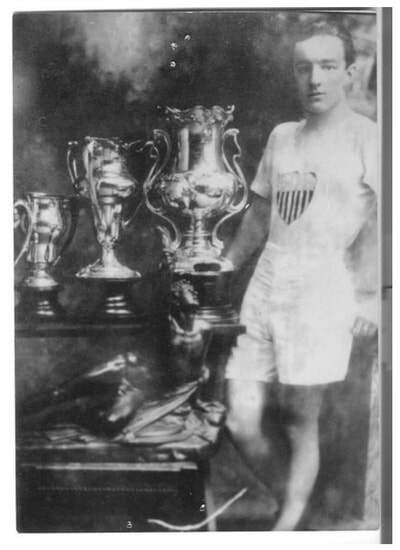 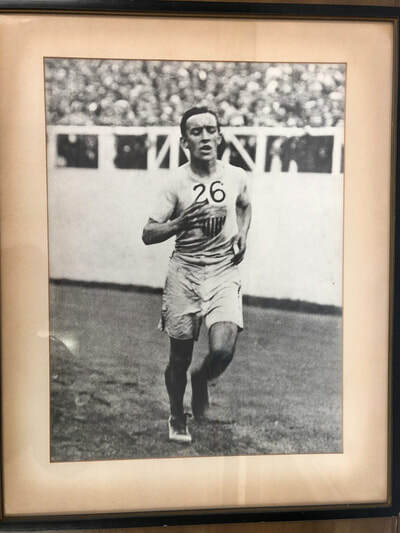 Johnny Hayes was the winner of the 1908 Olympic Marathon, arguably the single most important race in Olympic history because this race, and the follow-up races resulted in standardizing the distance of the marathon at the 42.195 kilometers distance. 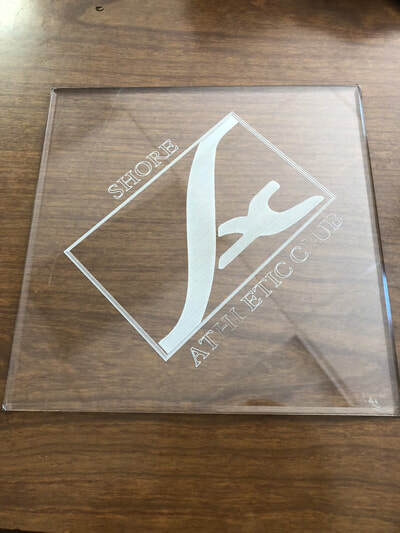 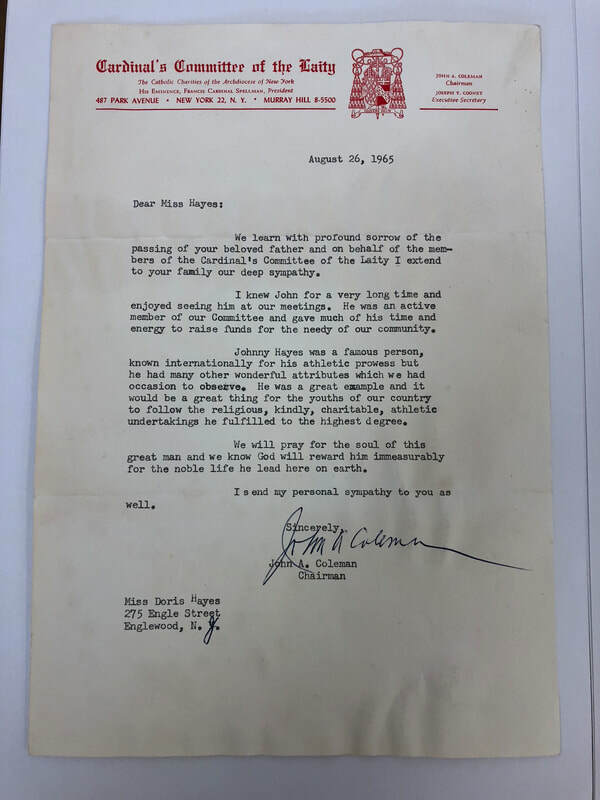 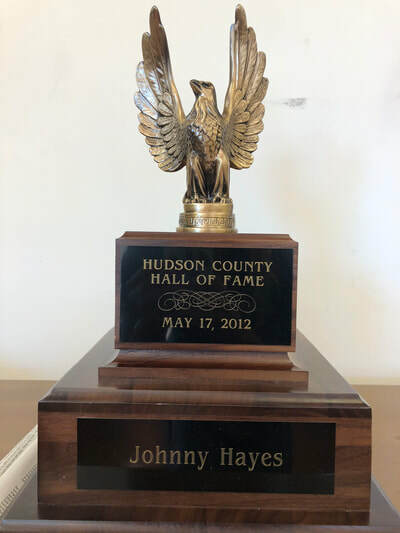 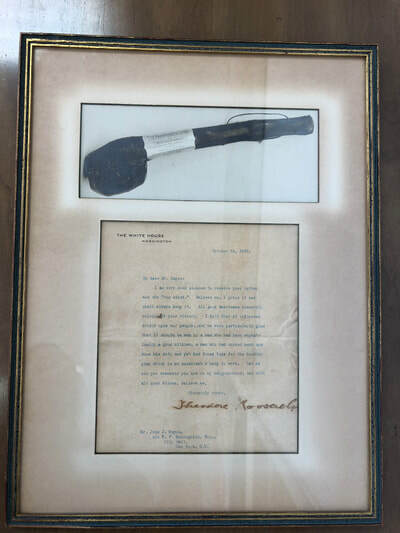 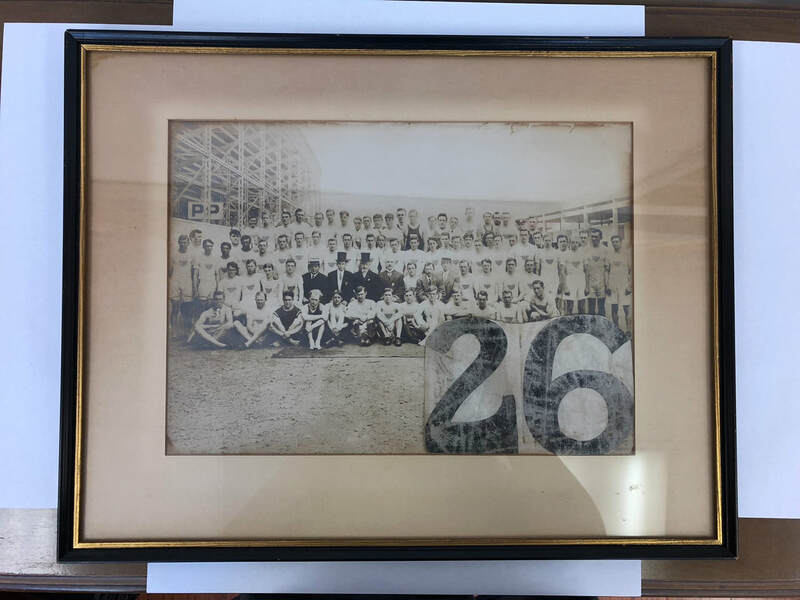 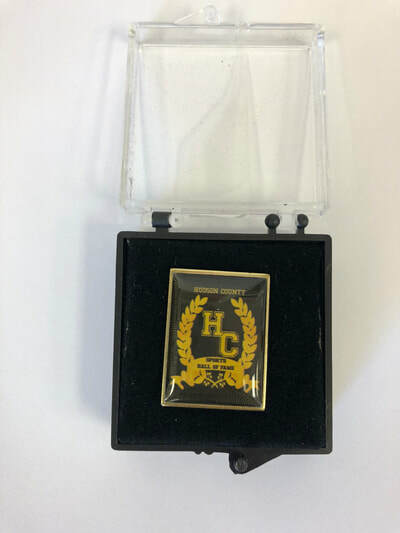 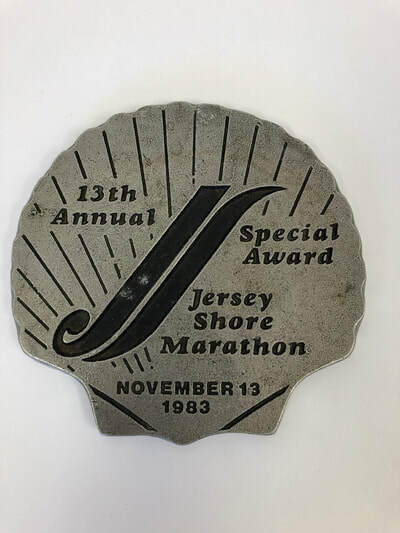 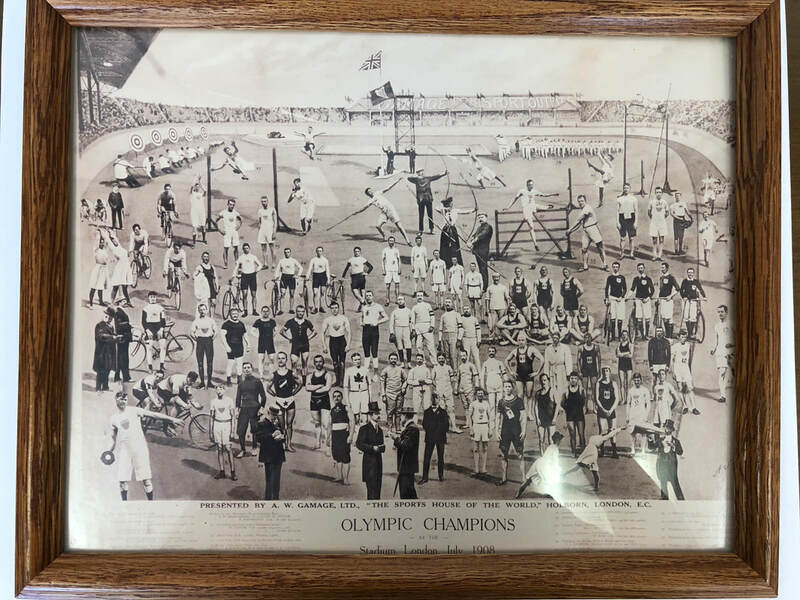 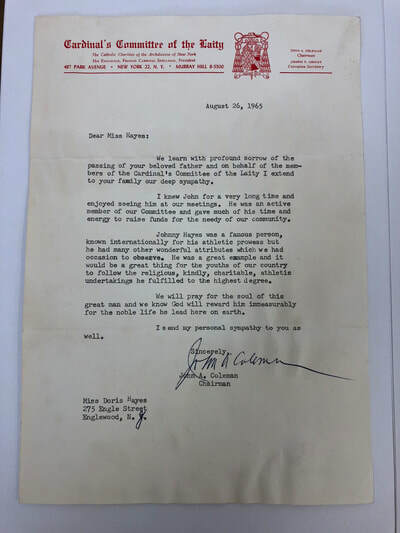 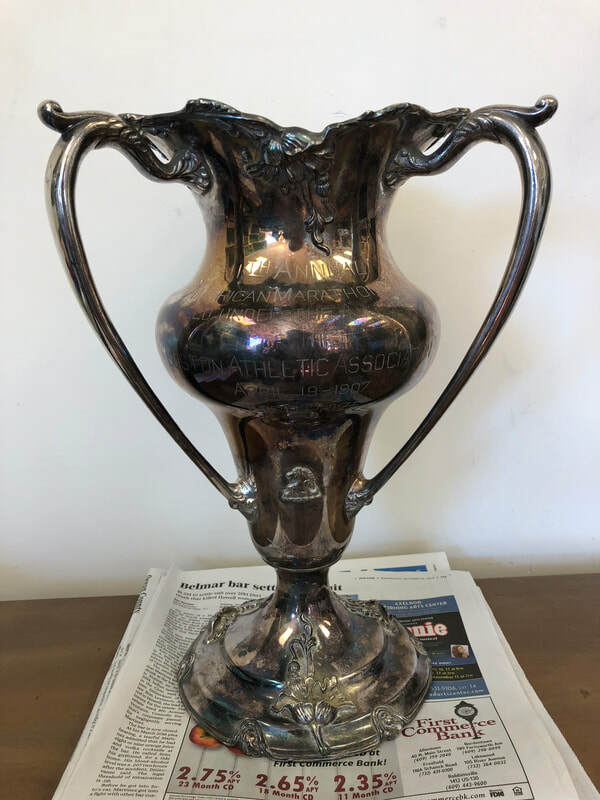 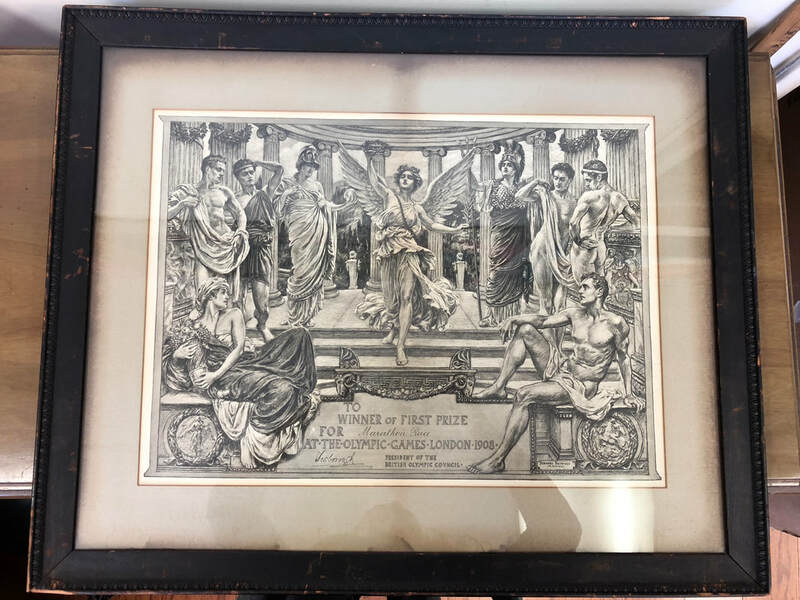 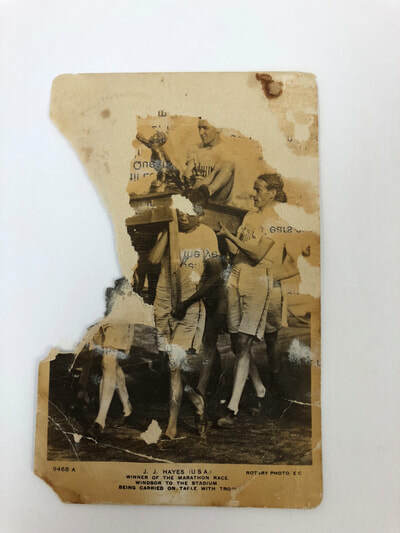 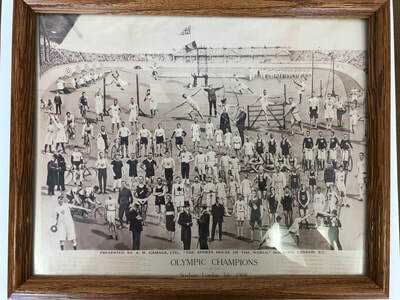 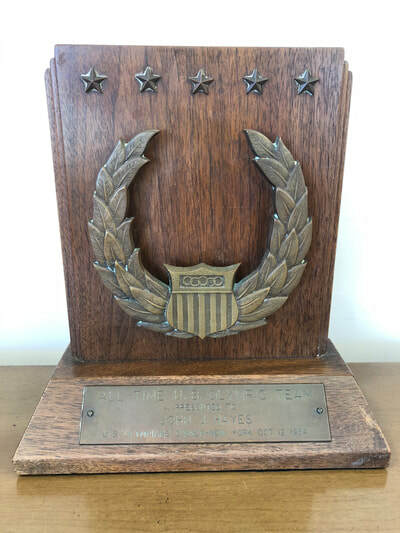 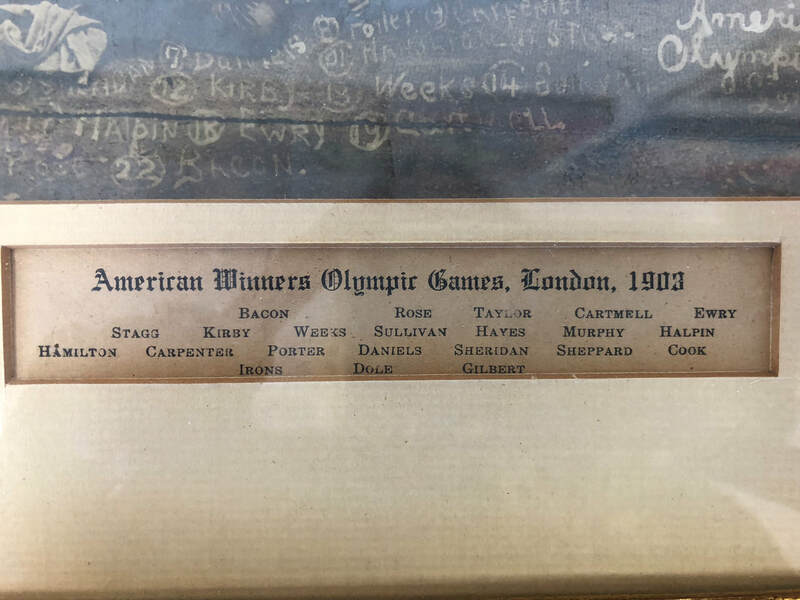 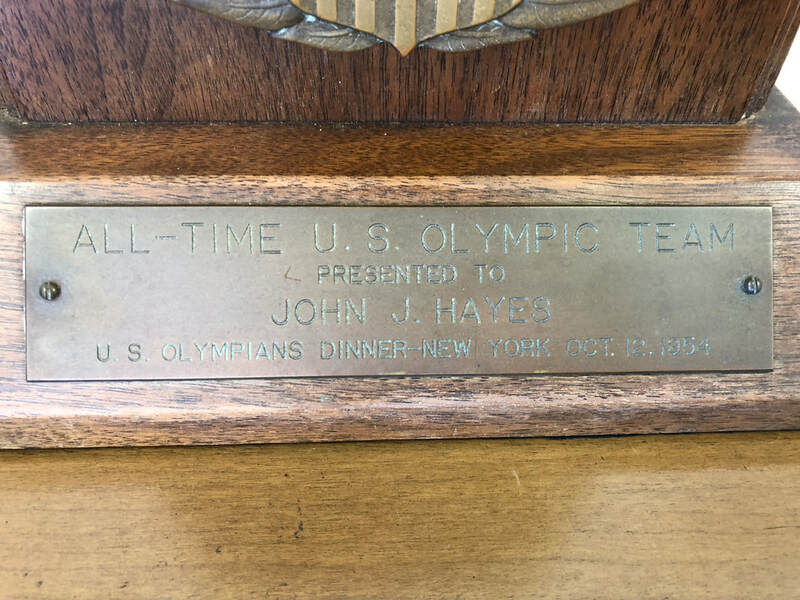 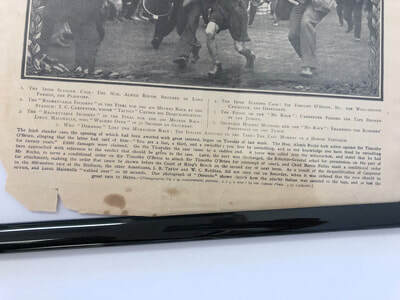 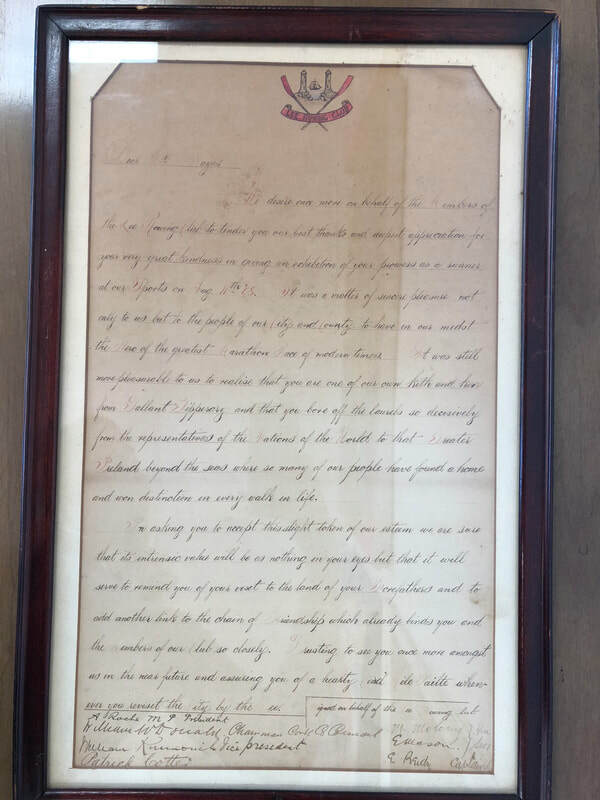 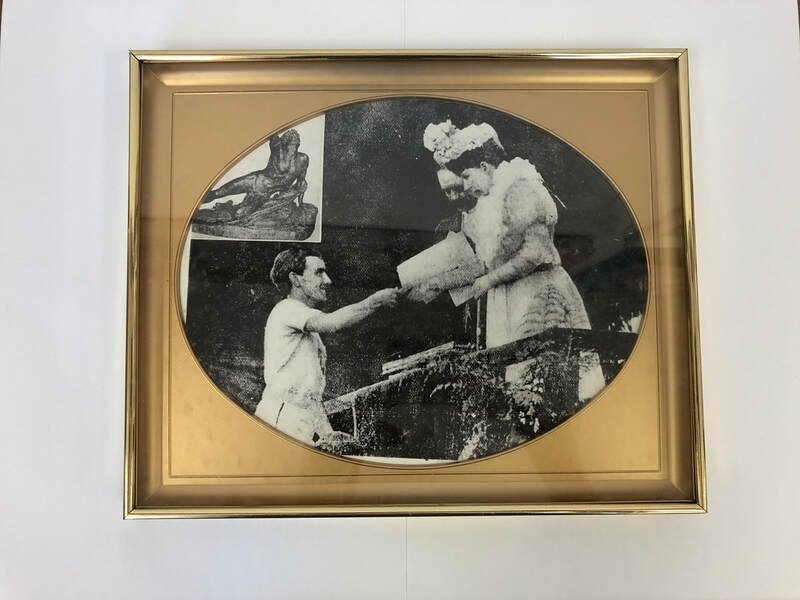 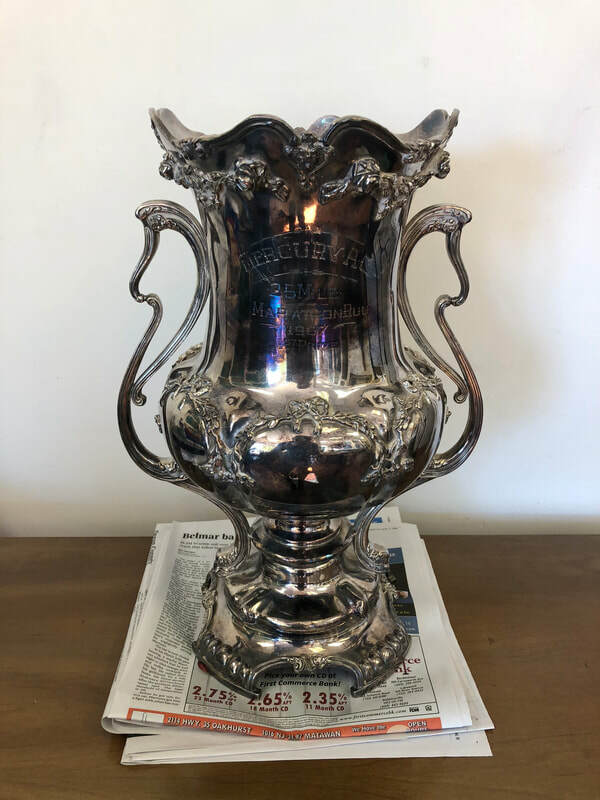 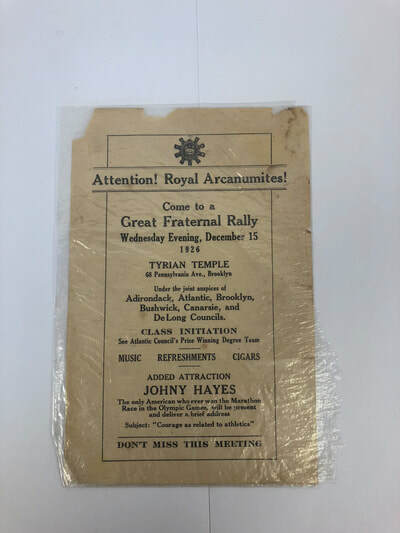 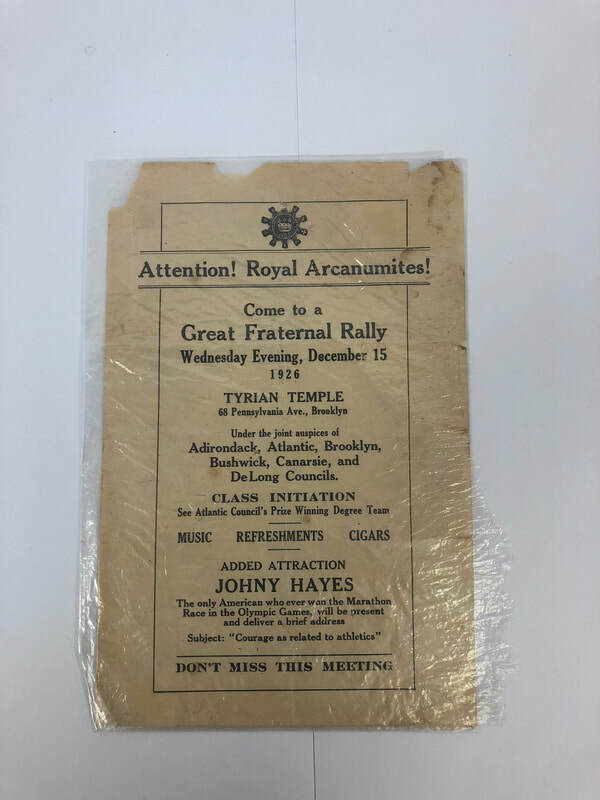 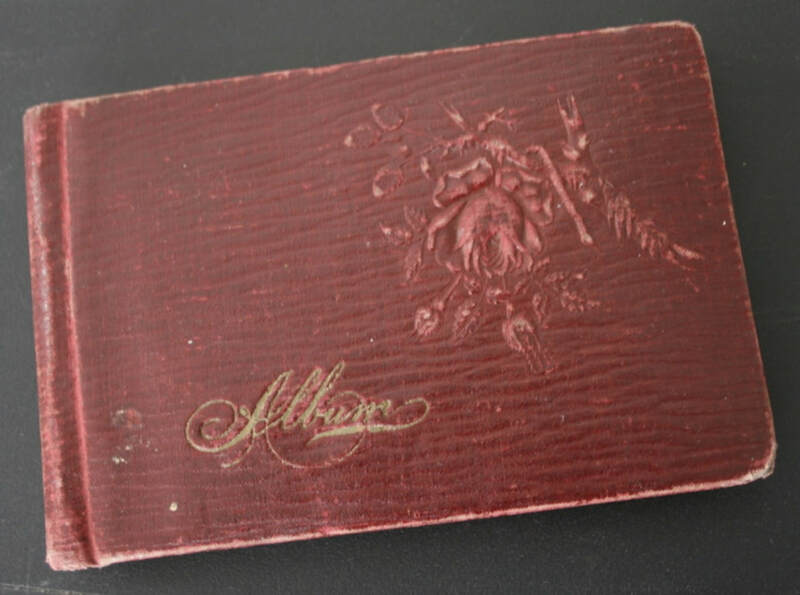 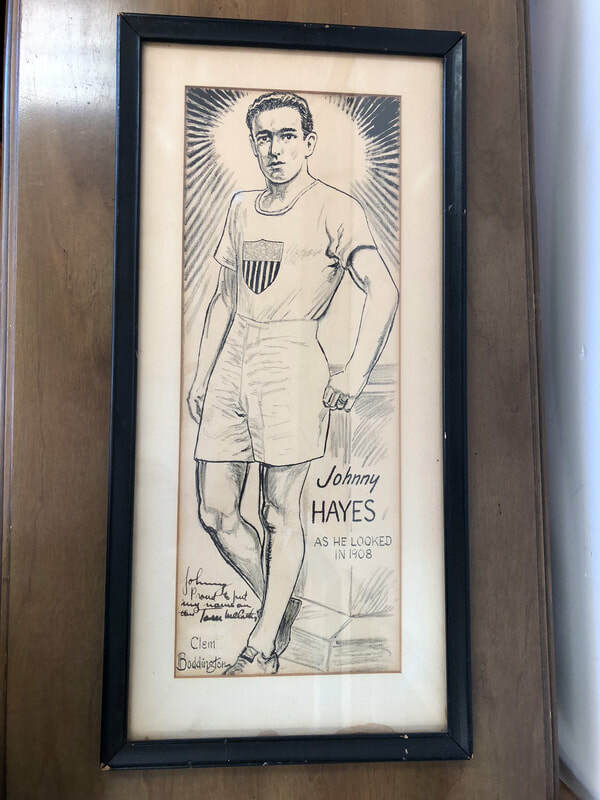 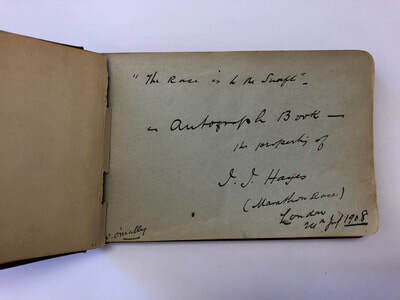 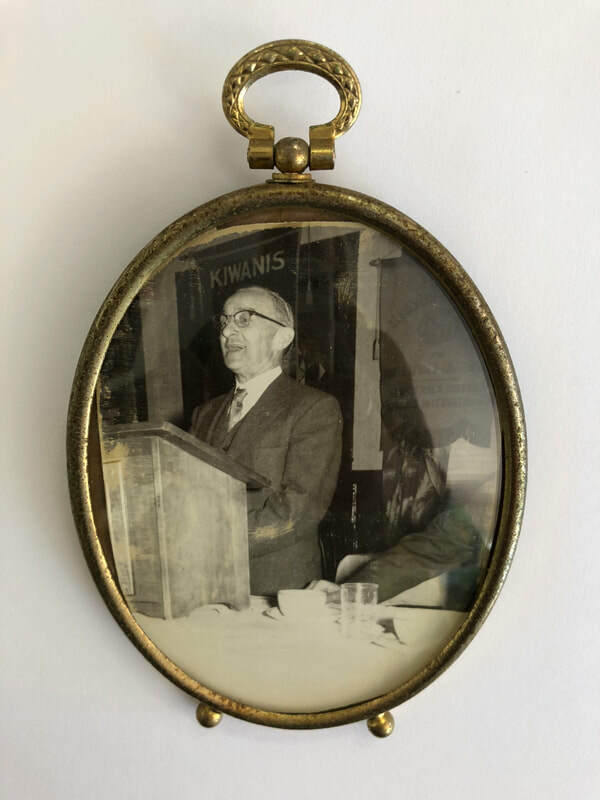 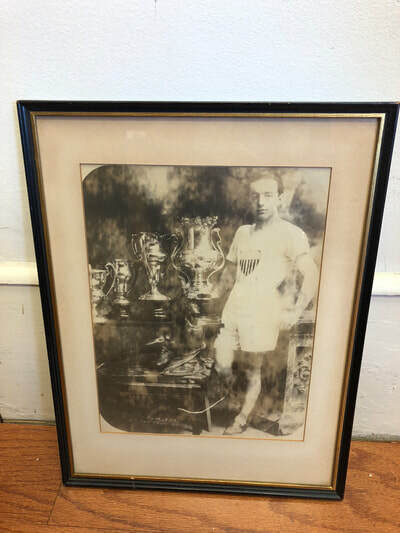 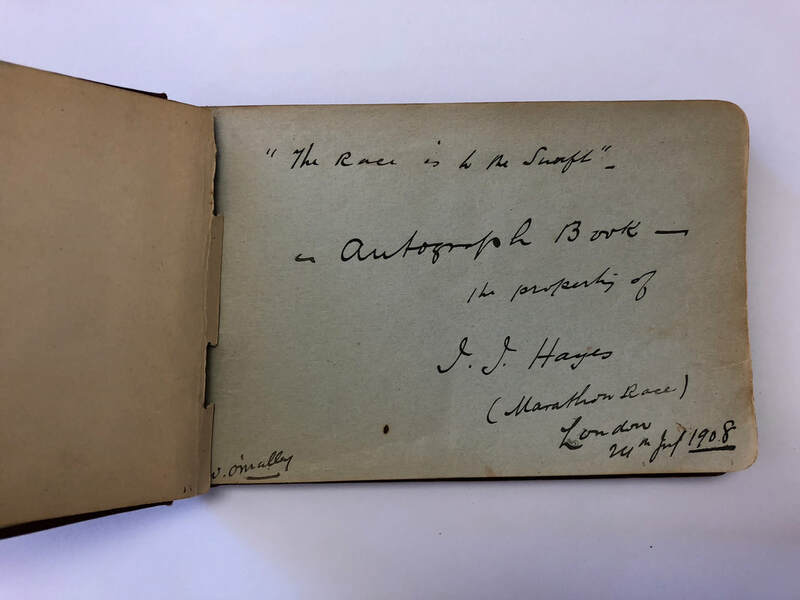 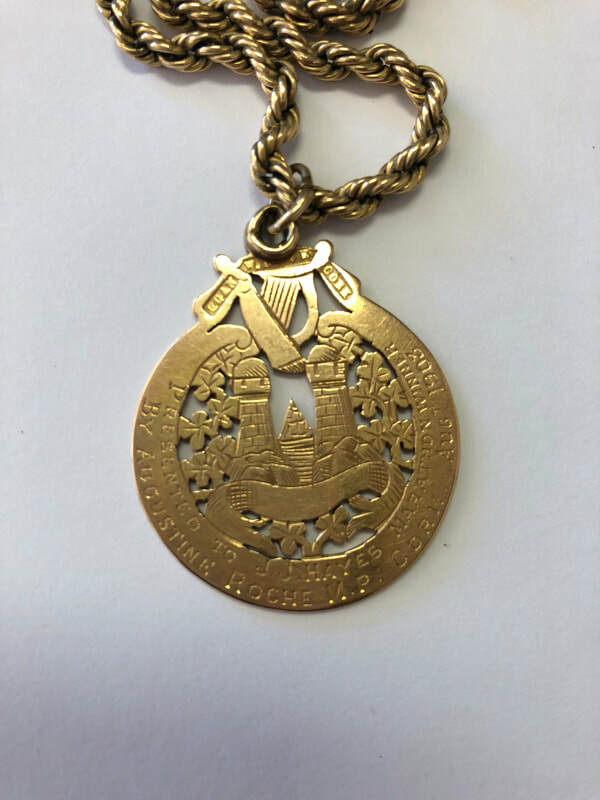 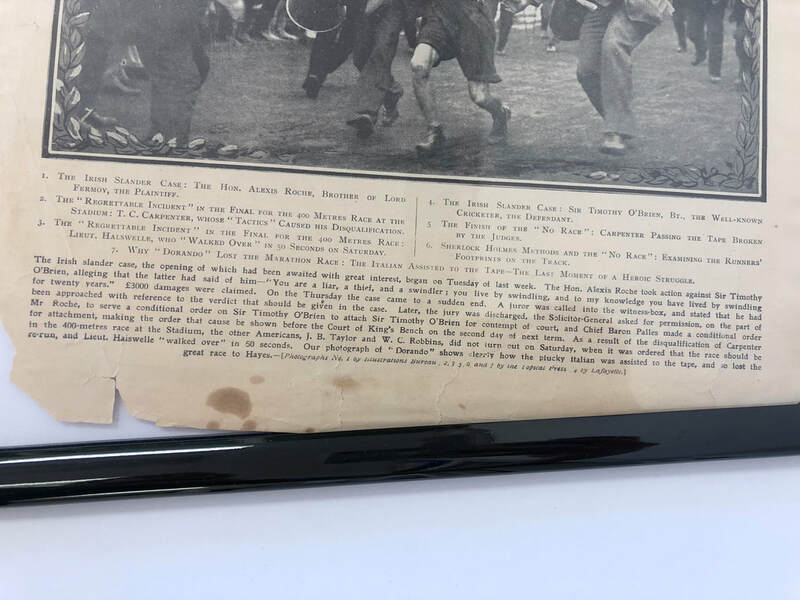 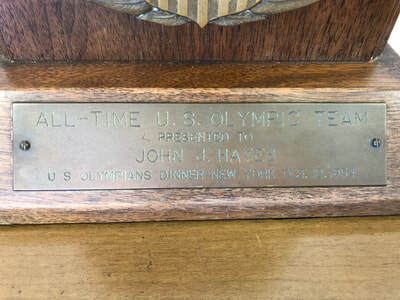 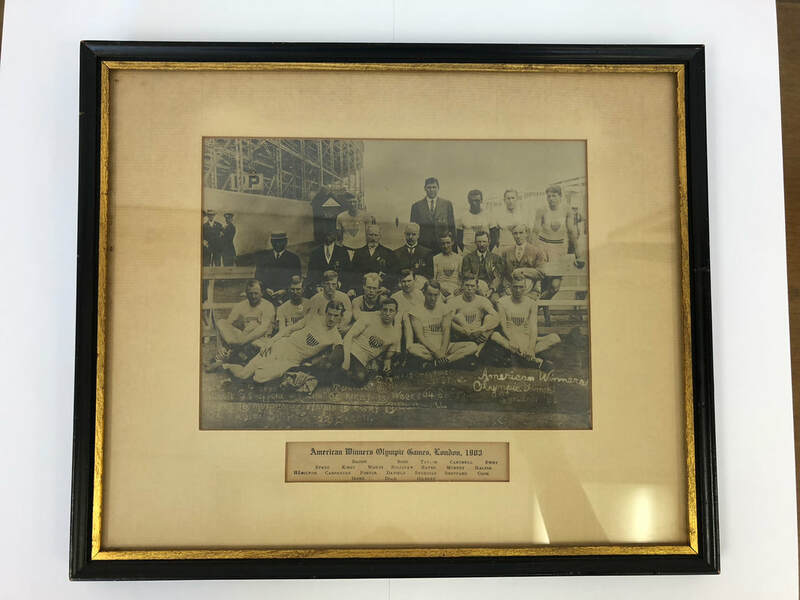 ​Shore A.C. is pleased to hold Mr. Hayes' collection of memorabilia, which was left to us by his daughter, Doris Hale, to perpetuate her father's memory. 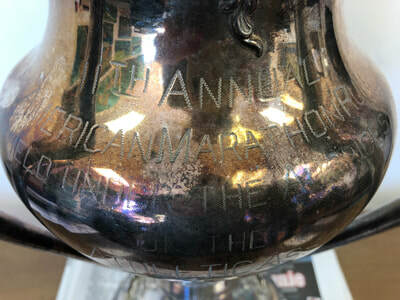 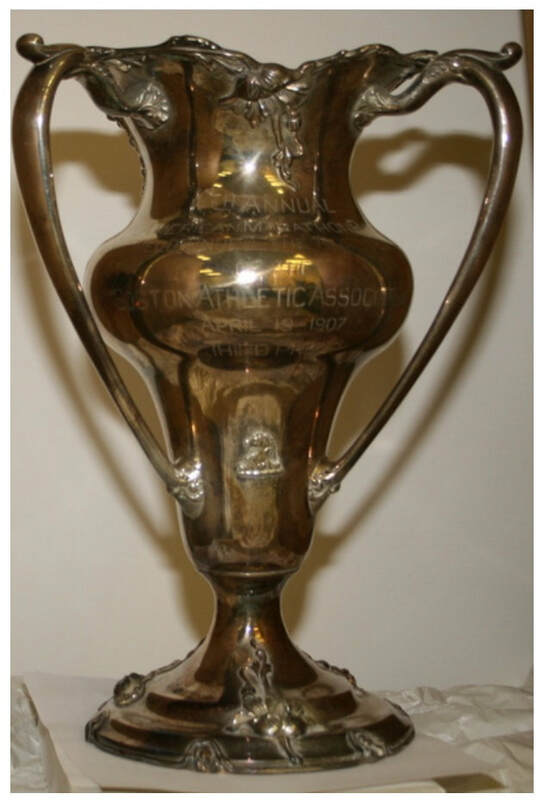 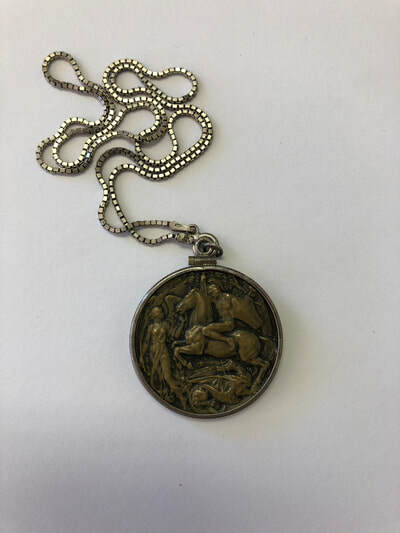 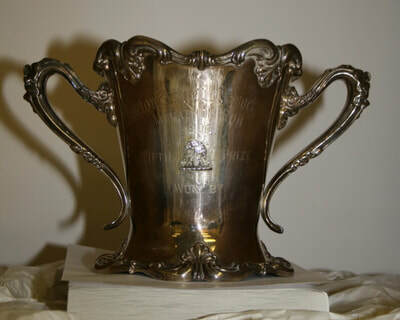 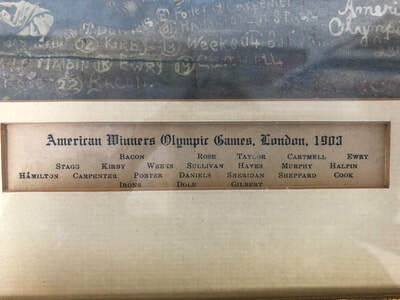 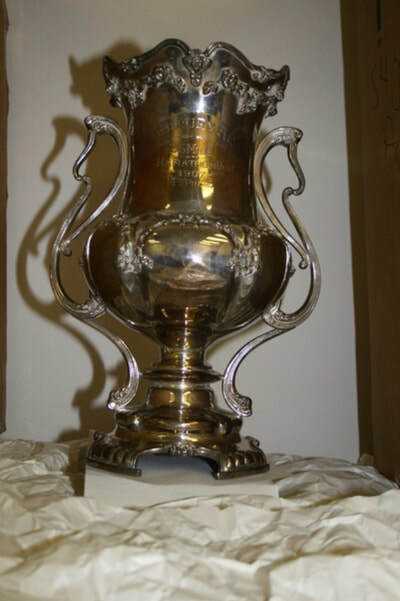 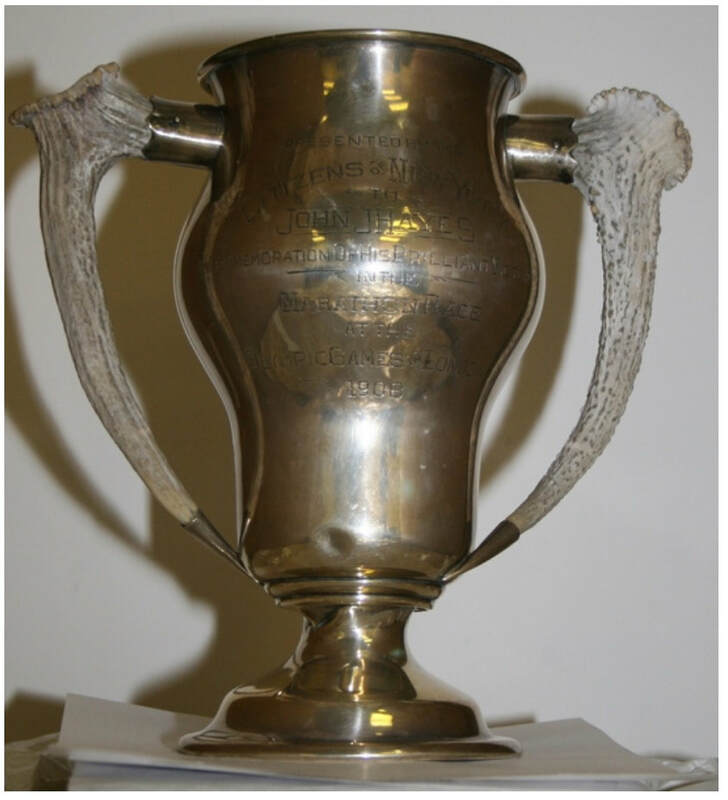 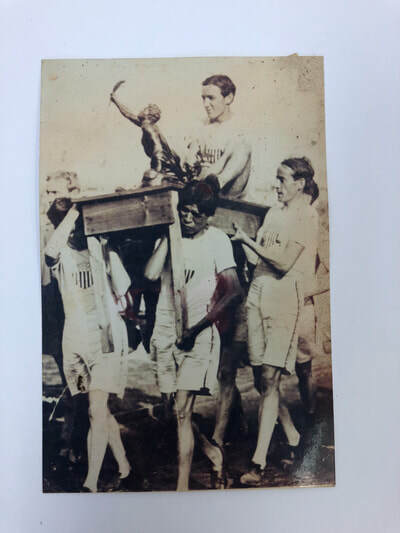 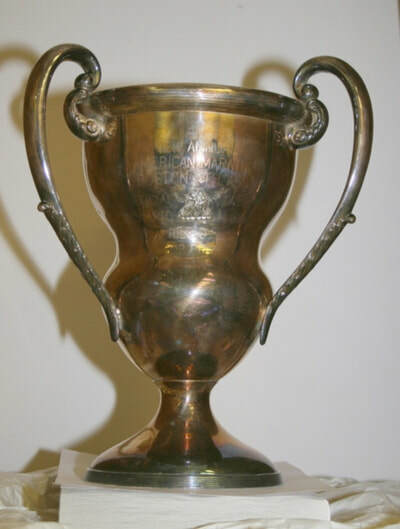 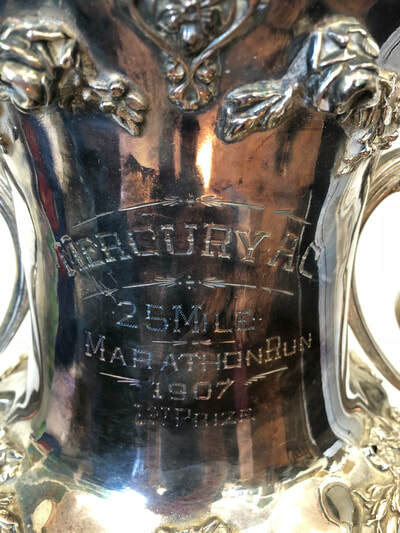 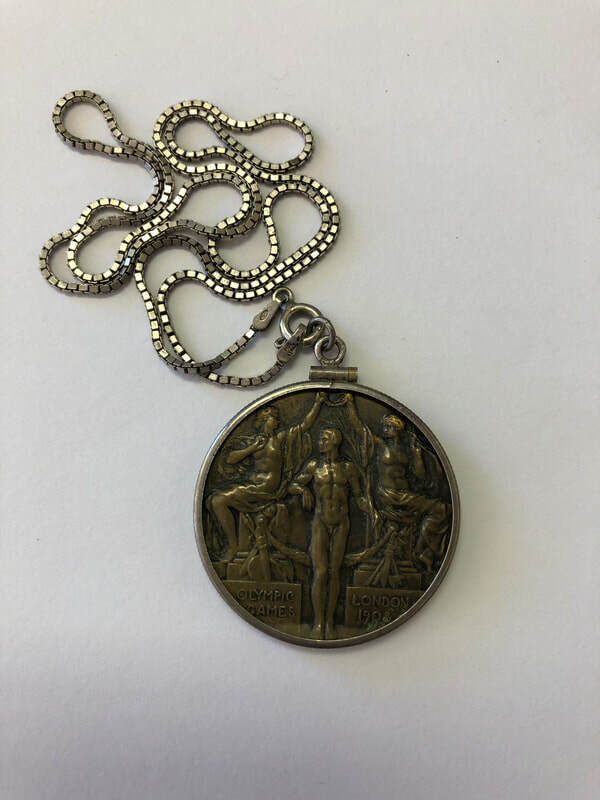 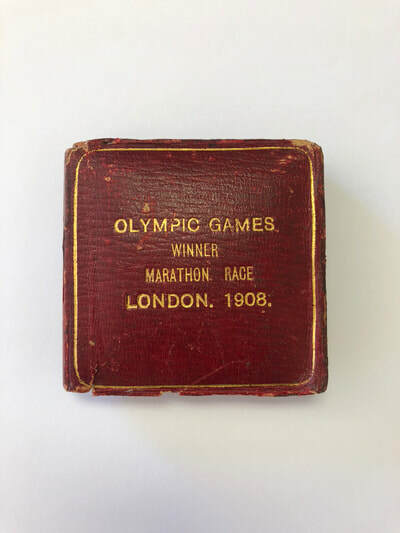 Included in the collection are numerous trophies as well as the 1908 Olympic gold medal for the marathon. 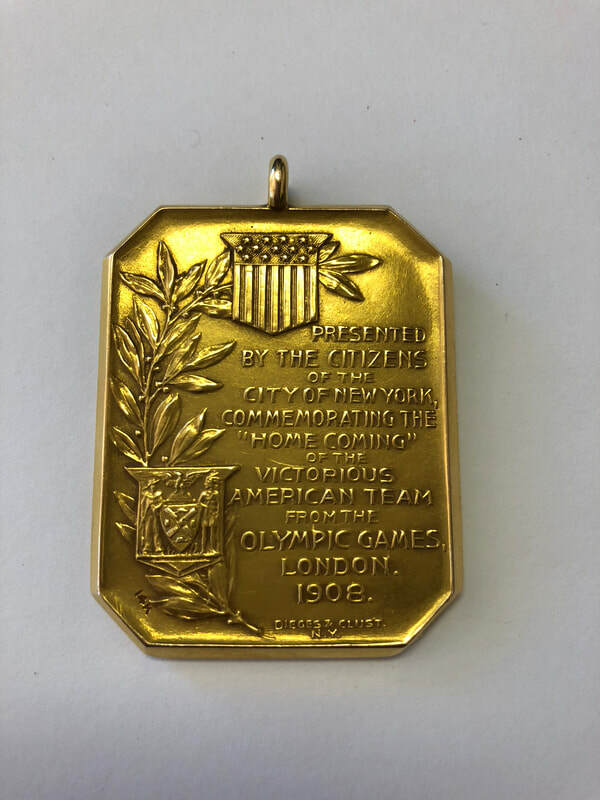 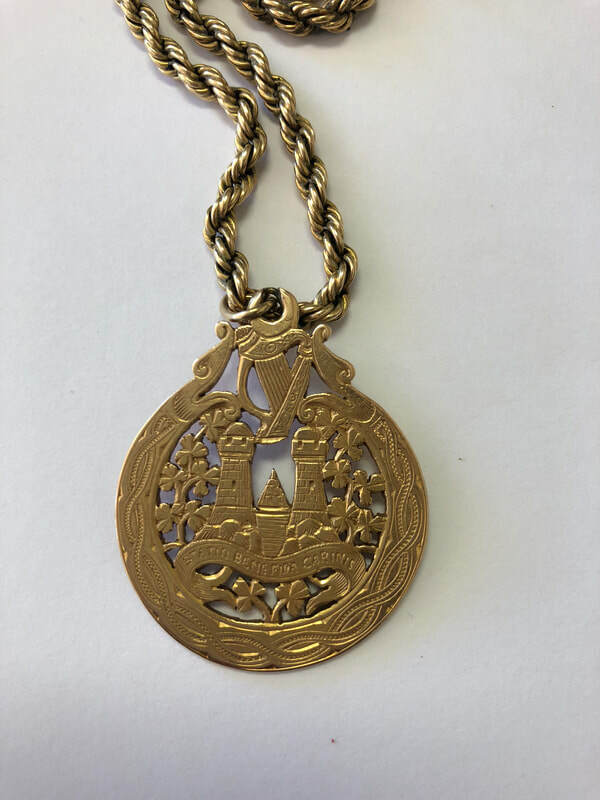 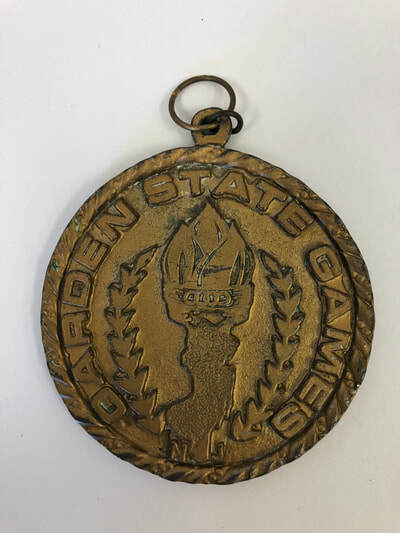 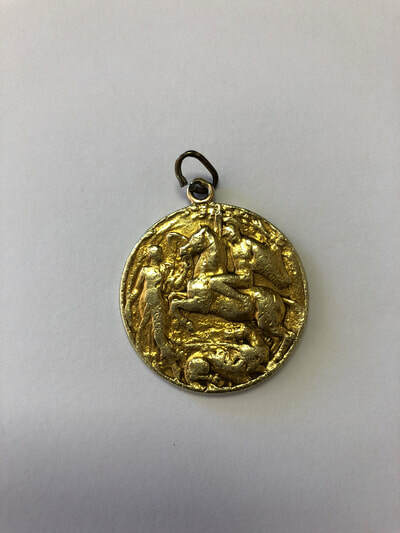 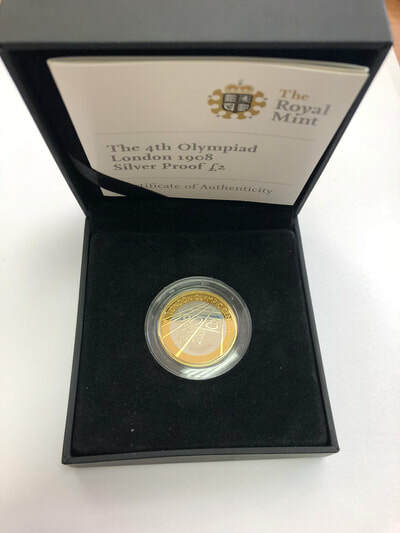 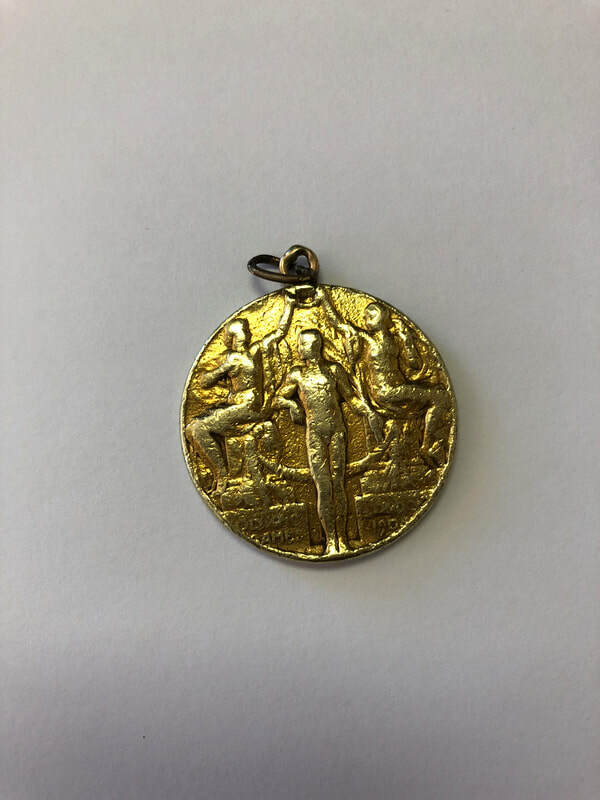 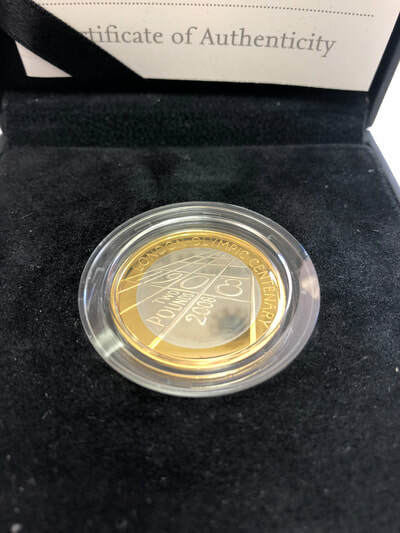 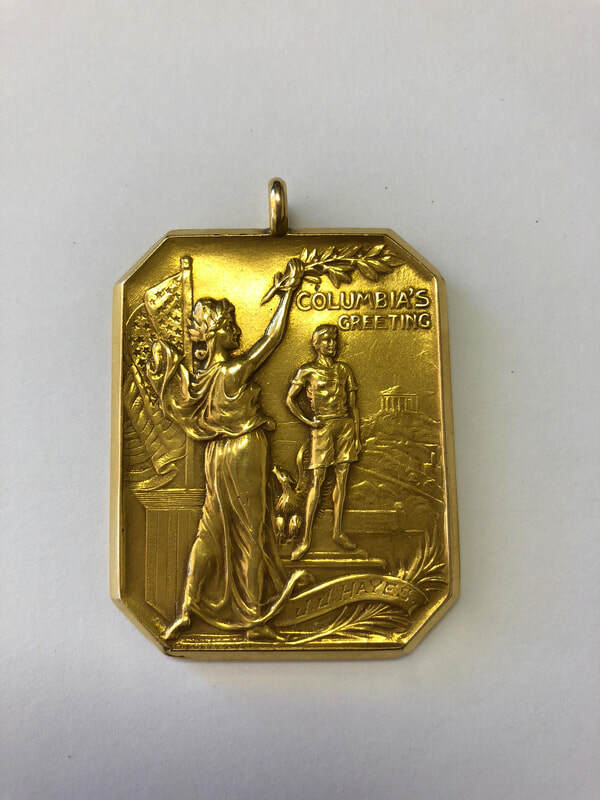 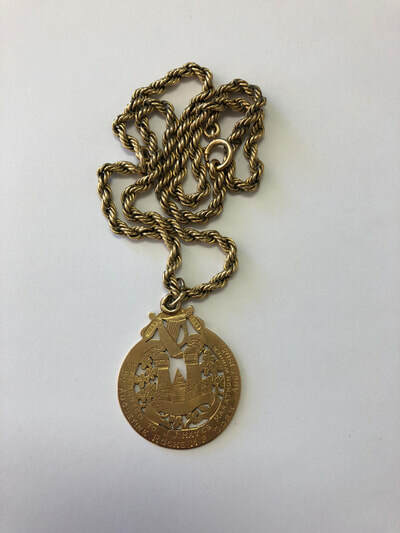 This represents the first Olympic gold medal to be won at the modern marathon distance of 26 miles, 385 yards. 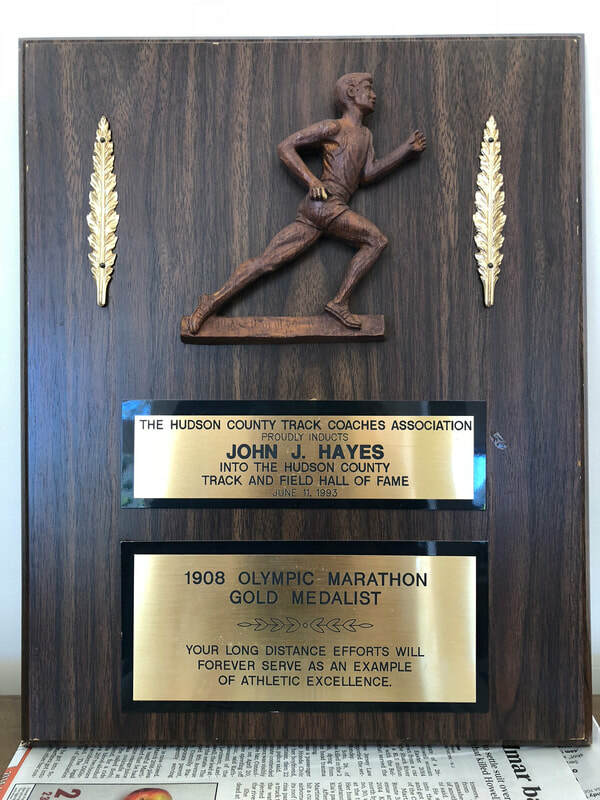 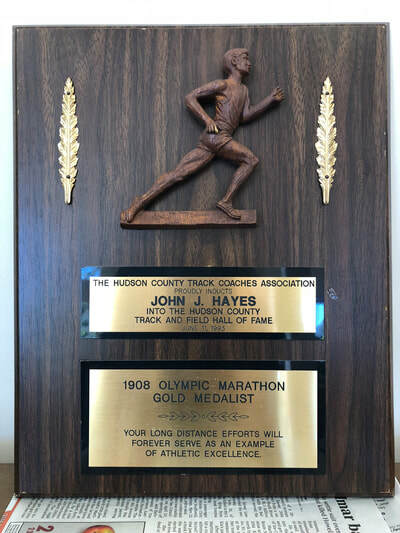 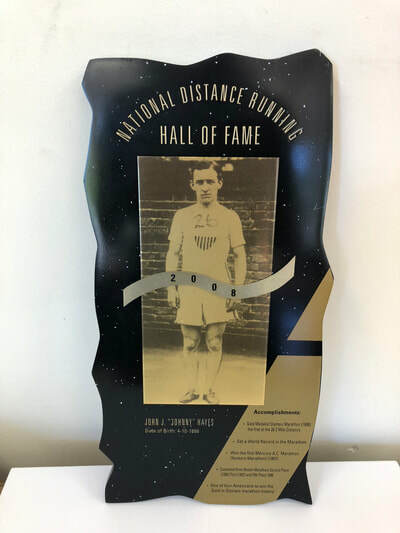 Mr. Hayes has been inducted into numerous Halls of Fame including USATF's (), the National Distance Running Hall of Fame (2008), etc.